You have probably heard about snail creams made of snail mucus. Cream made of those slimy creatures' mucus sounds pretty gross, right? Well, our ancestors from Rome and Greece let the snails crawl on their faces for many reasons. Snail mucus is probably one of the best moisturizers for dry or dull skin. Especially the Super Aqua Cell Renew Snail Cream from Missha which is made 70% of snail slime extract. 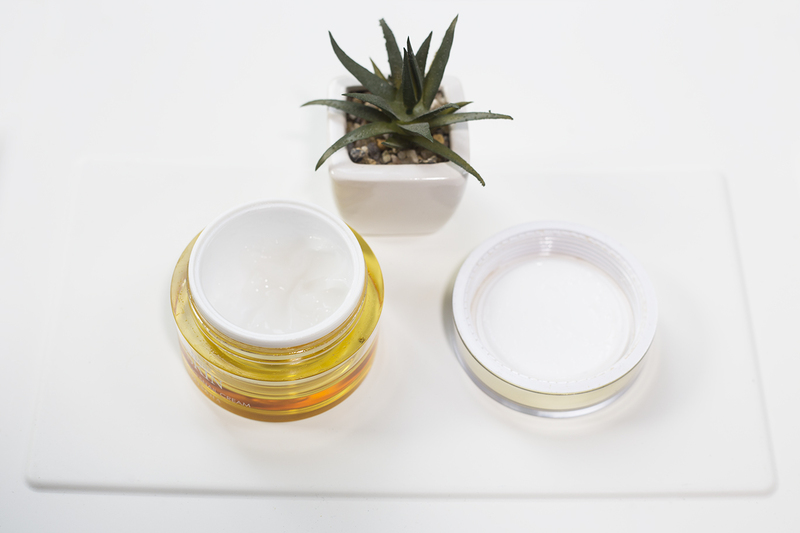 Snail creams have become extremely popular and the reason is: they renew skin cells and fight against aging. 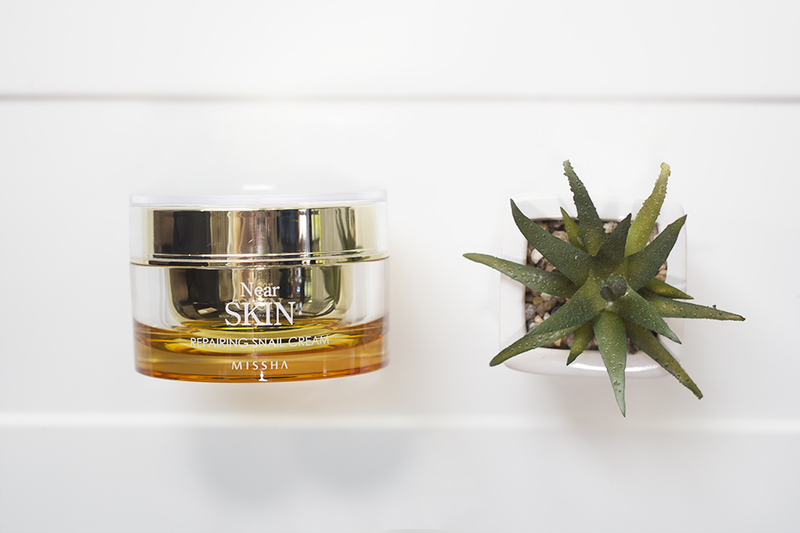 Super Aqua Cell Renew Snail Cream promises to brighten, revitalize and renew the skin. It is aimed for people with dry, dull and lifeless skin and leaves the skin smooth, hydrated and radiant. It increases the firmness of skin and prevents the signs of aging. This product is also great for normal skin type because it enhances the overall skin condition. The cream has many natural ingredients which offer nourishment for the skin. Botanical Callus Extract enhances the skin texture while deep sea water please the skin by hydrating it. Baobab Tree Extract moisturizes, makes the skin smooth and radiant. The main ingredients Snail Slime Extract revitalizes skin’s youthful look and renew skin cells. Is there any better cocktail for dry skin? Check the full ingredients here. Missha's snail extract is ethically produced from imported snails from France according to them. It takes one hour to produce 1 g of snail slime. Note! The packaging & name of the product I have in the pictures is the old snail cream which has changed to new one packaging and name. I bought this cream as my first Korean moisturizer after reading a lot of positive feedback about it in 2017. I had some blemishes and some dry patches due to cold winter in Finland. After using the cream the dryness was gone and the skin felt hydrated. I started to use the other Super Aqua Ultra Waterful Cream for oily skin after figuring out my skin type. But nowadays when my skin is in better condition and clear, this product gives really good base before applying foundation and when the weather is getting colder it's simply amazing because it's extremely moisturizing but still lightweight cream. I love the texture: The snail cream is not sticky, vice versa it's really light and super easy to apply and it dries fast on skin so it doesn't leave skin with oily look. The fragrance resembles aloe vera and cucumber and it's pretty strong so that's maybe the only con in this product. The cream gives a beautiful glow and among time it really has enhanced my skin texture. Even after one use, the skin already looks so much better and brighter. I love this product and no wonder: I had a giant African snail as a pet who crawled over the back of my hand when I was a kid. He probably taught me how the snail mucus is not something to be afraid or disgusted about — it's something we should actually touch and apply onto skin. Get your own Super Aqua Cell Renew Snail Cream from Ebay link below! Thanks for reading and remember to Follow me on Instagram and Facebook!